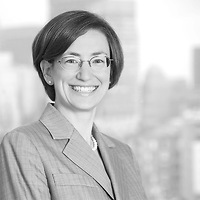 Sara Goldman Curley, partner in the firm’s Trusts and Estates Department, served as a co-presenter on the “Trusts from General Practitioner’s Perspective: Title Issues, Probate & More – A Practical Skills Session” panel at the Real Estate Bar Association (REBA) Annual Meeting and Conference on November 4. This practical session discussed the many types of trusts owning real property or holding the beneficial interest and provided an overview on nominee trusts, estate planning trusts, revocable and irrevocable trusts, inter vivos trusts, testamentary trusts, and business trusts. The panelists also discussed the necessary components of various trust instruments and the C. 184 §35 Trustee Certificate, as they relate to the proposed sale or refinance.